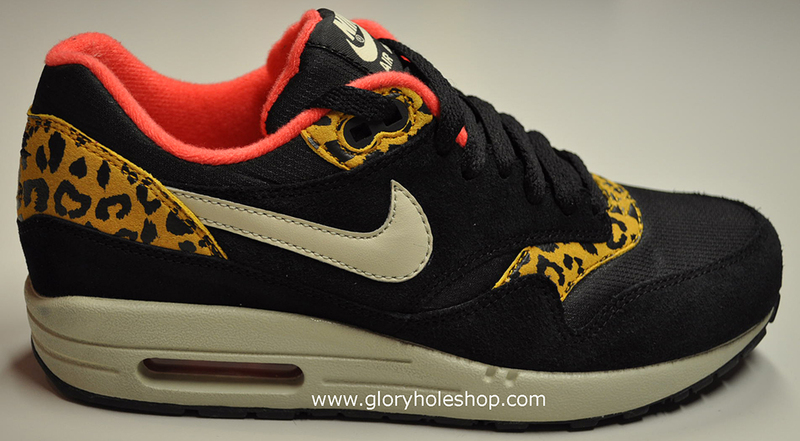 Animal prints continue to have a strong presence in the sneaker community, the latest example being this women's Air Max 1 from Nike Sportswear's Holiday 2011 Collection. 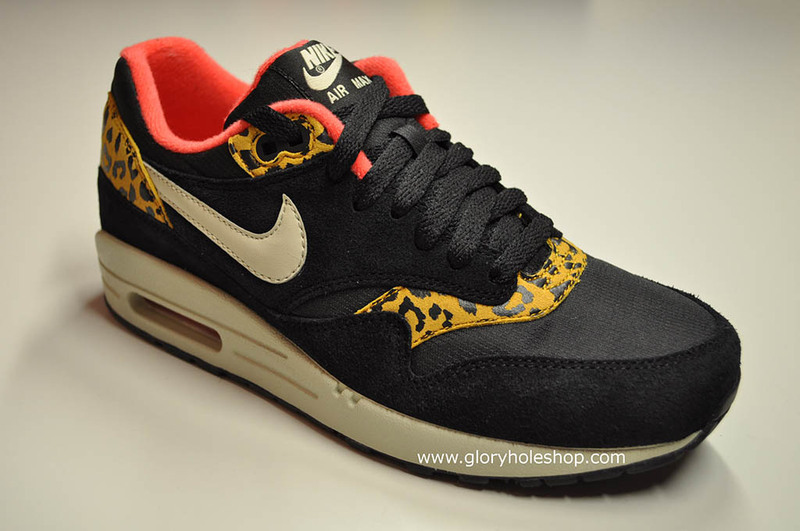 Animal prints continue to have a strong presence in the sneaker community, the latest example being this women's Air Max 1 from Nike Sportswear's Holiday 2011 Collection. Expected to release alongside a Dunk High that shares the same look, this version of the classic runner features a black suede and nylon build, complemented by faux leopard trim along the vamp, upper eyelets and heel. The interior is lined in Solar Red, while a creamy off-white is used for branding and the midsole. A solid black rubber outsole caps off the look below. European retailer Glory Hole Shop is expected to launch this pair in October. Stick with Sole Collector for more details as they become available.